Tosay that Ethereum is struggling at the moment is a bit of an understatement. A recent report on its status from October 11th states that the ETH price declined so sharply that it broke $220 and $214 support levels against USD. The golden child of the cryptocurrency world has grown up and not met expectations. The current situation is concerning for those involved, especially with Ripple snapping at their heels. So is this a major downturn with no solution, or just a bump in the road? Where are things going wrong for Ethereum? security issues over access and use of the system. Basically, there was a perfect storm of issues. Users struggled with the slow processes and costs and generally became frustrated. This discontent spread over social media and forums, adding more negative publicity. Further issues of a network takeover and the departure of Tron and EOS, worsened the issue. Large whales have also made massive transfers in recent months, disrupting the market further. Bring this all together and there is no real surprise that ETH declined so much. This is a big concern for the cryptocurrency world. 2. a focus on decentralization. 3. the ability to re-invest with ease. Cryptocurrency users need choice and stable options across the market for the industry to thrive. But, if the world’s #2 goes through this many problems, it reflects poorly on the industry more generally. This was a venture that was meant to change the landscape in a positive way. Many celebrated the creators — Vitalik Buterin, Justin Drake and Karl Floresch — for their attempts to address issues with the current system. Buterin wanted this to be a positive change for the ecosystem, with great stability. Clearly, that wasn’t to be the case. 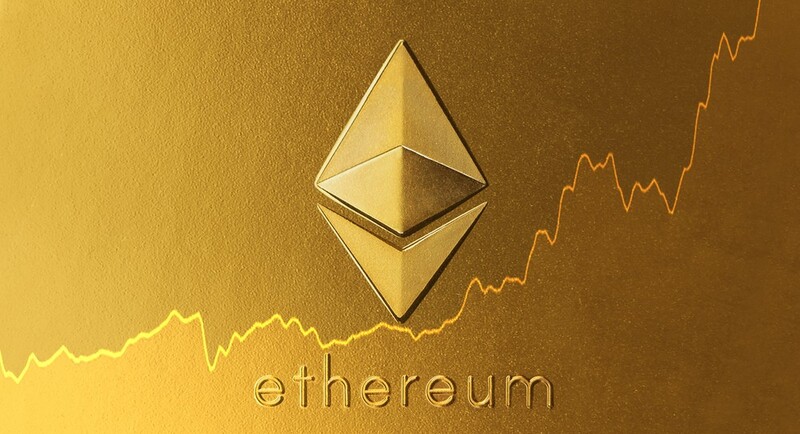 We can’t forget that it was only this summer that many users and publications proclaimed Etherum to be the “future” of blockchain and an important part of the cryptocurrency industry. It was popular for the reasons above and gained interest over 2018, with a significant increase in developers. Tron and EOS were part of a much wider group of users, including NEO, Cardano, Stellar, Qtuma and ICON. Even Amazon’s own blockchain partnership was with ETH. Ethereum’s place in the crypto-ecosystem is under threat. This dramatic shift in fortunes means that there are big problems if Ethereum is to maintain its position as a contender to Bitcoin’s throne. Back in June, Medium.com writer Micheal Spencer wrote: “If Bitcoin is shrouded in controversy, Ethereum is bathed in possibility.” It is impressive the difference that four months can make. While Bitcoin isn’t without its issues, the future prospects for Ethereum appear far less rosy when we consider current events. We must also remember that the fight for supremacy in cryptocurrency isn’t just between ETH and BTC. There is a battle for 2nd place here against Ripple. Reports from October 13th suggests that Ripple is in contention to take over more permanently. Ripple saw a steady price rise of 115% in the 3rd week of September. This may not be a permanent shift in position, but it is significant at a time where other options struggle. There is still the chance that Ripple too could fall foul the volatile market and, by that logic, we shouldn’t rule out a possible comeback for Ethereum either. So what does the future really hold for Ethereum? Perhaps we shouldn’t be so quick to give up on ETH. Despite all these issues and the major crashes, there is some light at the end of the tunnel. It has been reported that Ethereum, alongside Litecoin, may become part of the US futures market. The notion is that ErisX will begin offering spot trading in early 2019, and then more established futures trading later that year. This would open the currency up to new investments. This could be the life-raft that Ethereum needs. It may even help it to push Ripple aside again and maintain that #2 spot. It has been a rollercoaster year for Ethereum in 2018. 2019 looks set to be no different.